At Oakley we deal with a lot of beautifully developed luxury properties. We work with some very prestigious developers who take pride in their work and use the very best materials when refurbishing. Think sprung wood floors, quartz worktops, energy efficient LED lighting and soft fluffy carpets. All of these luxury features are installed with longevity in mind, as quality fittings are hardwearing too and add value to a home in the longer term, so certainly we wouldn’t say these luxury touches were extravagant. However, some finishing touches that homeowners add may be a little O.T.T purely for the fun or vanity of the items and that they may even detract from the value if not to everyone’s taste. One place people tend to overspend is in the bathroom, so, just for fun, we thought we’d look into how much you could really spend on an overly-extravagant bathroom. There are several unique materials that can be used to create bathtubs. Depending on the look you’re going for, and the “health benefits” you’d like to achieve from your bath, you will need a budget starting at 4 figures for most styles of luxury tub. Fit for Cleopatra, a gemstone bath in Dubai sold for over a million dollars in 2011. To buy a budget version, you could opt for a bath carved from Rose Quartz or Amethyst instead, or any other natural gemstones, and would be looking at a price tag of around £25,000 plus overseas shipping costs. Don’t be fooled by gold-coloured brass taps or gold plating, if you want to go all out then solid gold is the only way to go. Price tag unknown, you would need to find a very exclusive interior designer to help source these sorts of things. For just a simple 24-carat gold-plated mixer tap, expect to pay between £500 and £1000. And if you have a bath, bidet, his and hers sinks and a shower to match then that’s five different taps you’ll need, hiking the bill up to £5k. 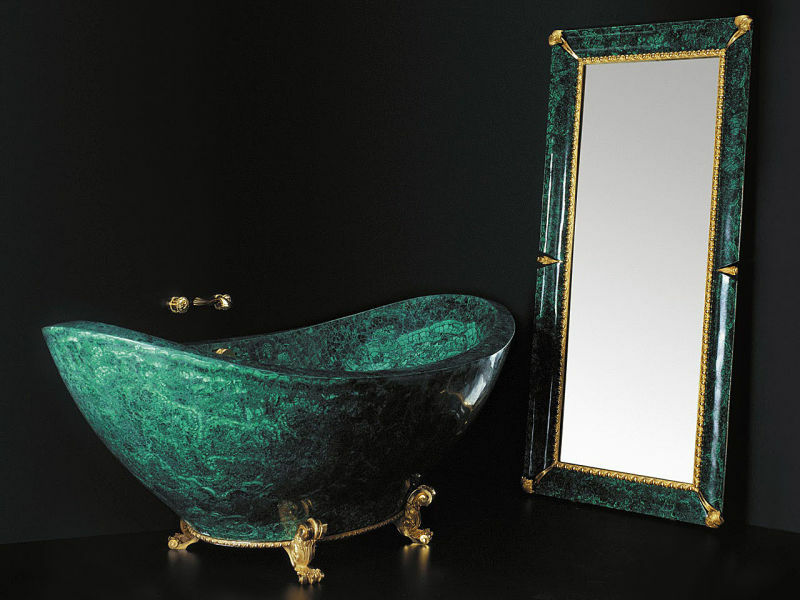 Marble has been the aristocrat’s bathroom finish of choice for thousands of years. Traditionally, earthy tones were used but for a more modern feel, white marble is the look to go for. Unless you have opted for a free-standing gemstone or wrought iron bath, you may want to sink your spa tub in a marble surround. You’ll definitely need a marble splashback, and possibly some marble flooring too. Natural marble tiles can cost around £85 per square metre. So let’s say your bathroom is a fair 4 square metres, that’s not too bad at just over £300 for the floor. Throw in some wall tiles too, let’s say £500 the lot. If that’s just too budget friendly and common, then how about some of the world’s most expensive tiles “LuxTouch” that cost around $100,000 per square metre. 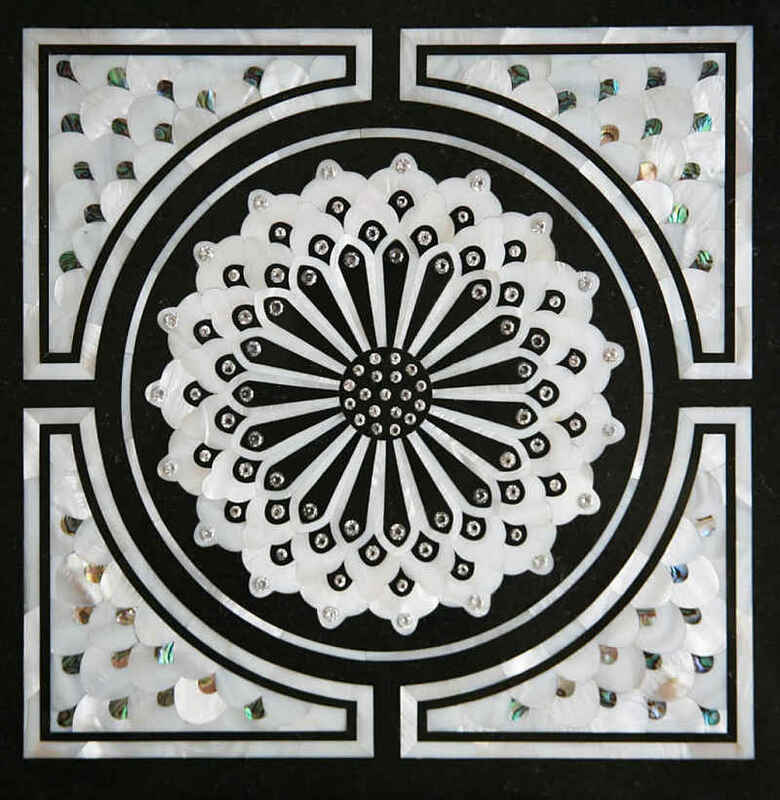 Made from black onyx and mother of pearl and inlaid with real diamonds, the black and white tiles will certainly add some bling to your bath time. After you’ve soaked in your luxury tub and stepped onto the marble floor, you’ll need something special to dry yourself with. What better than a Versace bath towel, a snip at £300, and a matching bathrobe, £385. Now perhaps add some mood lighting (automated and colour changing of course) a surround sound system, water jets, underfloor heating and air conditioning and your luxury bathroom is finished. Estimated cost: £400,000 to £600,000.